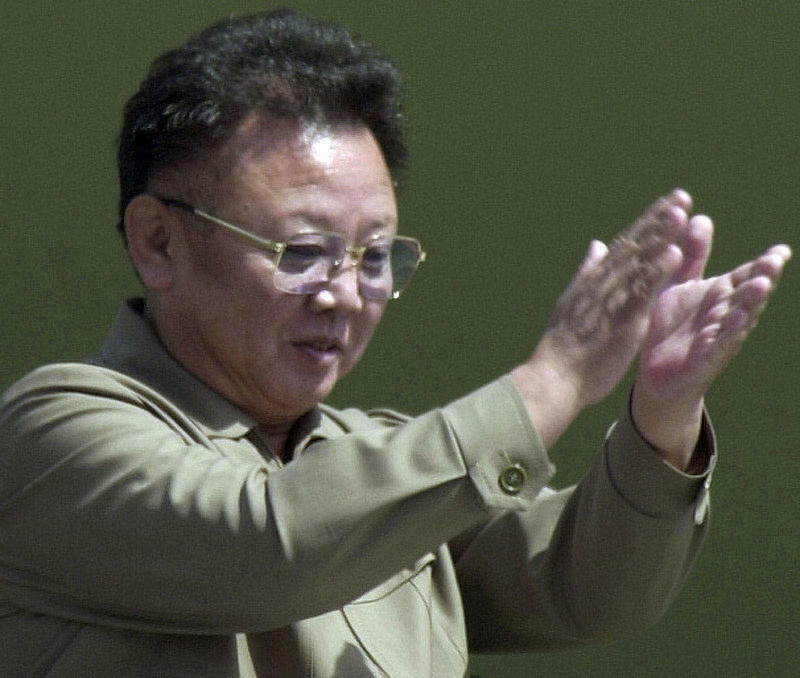 PYONGYANG, North Korea (AP) -- North Koreans are marking the seventh anniversary of the death of leader Kim Jong Il with visits to statues and vows of loyalty to his son, Kim Jong Un. The anniversary observations were expected to continue through Monday across the country. Though focused on remembrances of his father, the anniversary also marks Kim's own rise to power. The death of Kim Jong Il on Dec. 17, 2011, thrust his son into power when he was still in his late 20s and a virtual unknown figure outside of the North. But, despite many predictions from outside experts that he wouldn't be up to the task, Kim Jong Un has managed to consolidate power, bolster the country's economy in the face of intense international sanctions and attain a goal his father and grandfather could only dream of — he is the first North Korean leader to possess an arsenal of nuclear weapons and long-range missiles capable of reaching the United States. As the nation remembered his father, there was no mention in the state media of the issues that have gotten the most attention elsewhere, including a flurry of speculation in South Korea that Kim might visit Seoul by the end of the year, or how he intends to deal with growing frustration in Washington over the slow pace of denuclearization talks between the two countries. The North's official Korean Central News Agency instead ran stories about memorials to Kim Jong Il in Libya, Russia and Serbia. Even so, the anniversary was being watched closely for any signs of change or hints of what the country's leadership may be planning in the months ahead. With Kim's power base seemingly more solid than ever, and his recent effort to establish himself on the world stage through summits with President Donald Trump and others, North Korea watchers have been on the lookout for signs that his own personality cult is being bolstered. Virtually all homes and public offices in North Korea feature portraits of the elder Kims, who are also memorialized in countless statues, mosaics and cenotaphs around the country. North Korean adults wear pins over their hearts bearing the likenesses of Kim Il Sung of Kim Jong Il, or both. This year's anniversary has so far offered no major departures from past precedent. The North has yet to come out with a Kim Jong Un pin or to order his image join the others on every wall, though Kim and his wife, Ri Sol Ju, have been referred to with increasingly lofty titles — "chairman" for Kim and "respected first lady" for Ri. A special portrait of the young chairman was unveiled recently at a ceremony to welcome the visit of Cuba's president, but none have appeared in public since. And unlike his father and grandfather, Kim's Jan. 8 birthday has yet to be declared a national holiday or even marked on most calendars. None of that should be assumed to be a sign of weakness, however. It could in fact indicate strength. Kim is generally afforded the same reverential treatment by the state media and for maintaining a respectful step behind his predecessors, he is credited with showing humility and confidence.